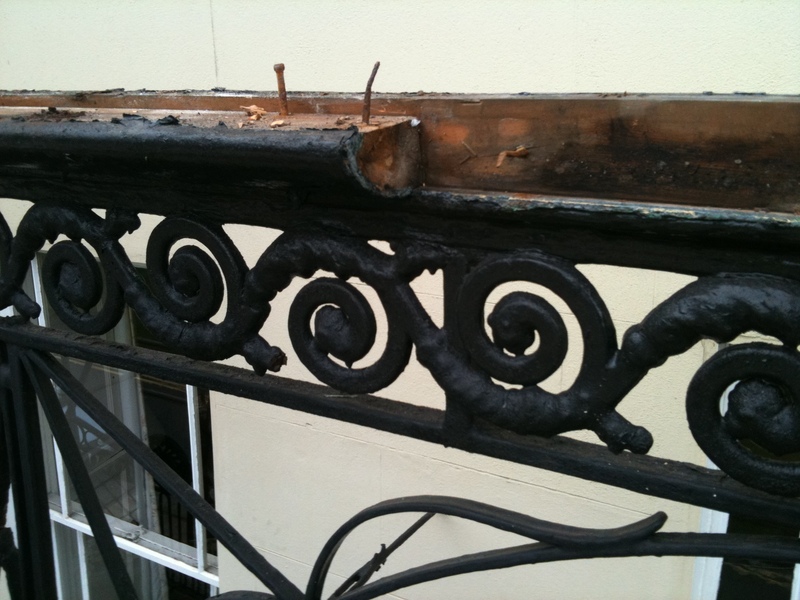 Classic Ironworks offer a complete balcony restoration service for ironwork balconies, staircases, verandas, railings and gates. 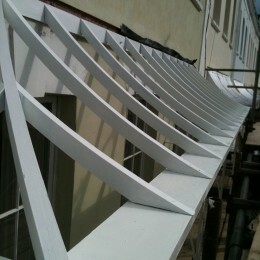 We hope these pictures give you an idea of the quality we aim to reach and the diversity of our skills. Period ironwork balconies in existence today, that have been well maintained, will have stood the test of time remarkably well and will probably outlast many modern structures. Unfortunately, a vast majority have suffered long periods of neglect which, in the case of balconies and canopies especially, mean the ingress of water. 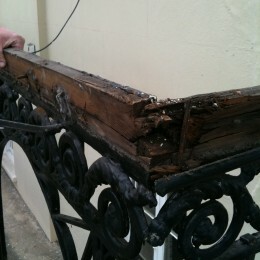 This will have rotted structural timberwork and corroded areas of ironwork – especially sections that cannot be accessed. This is a real shame that these beautiful balconies become unusable, or that clients felt that they were unsafe. 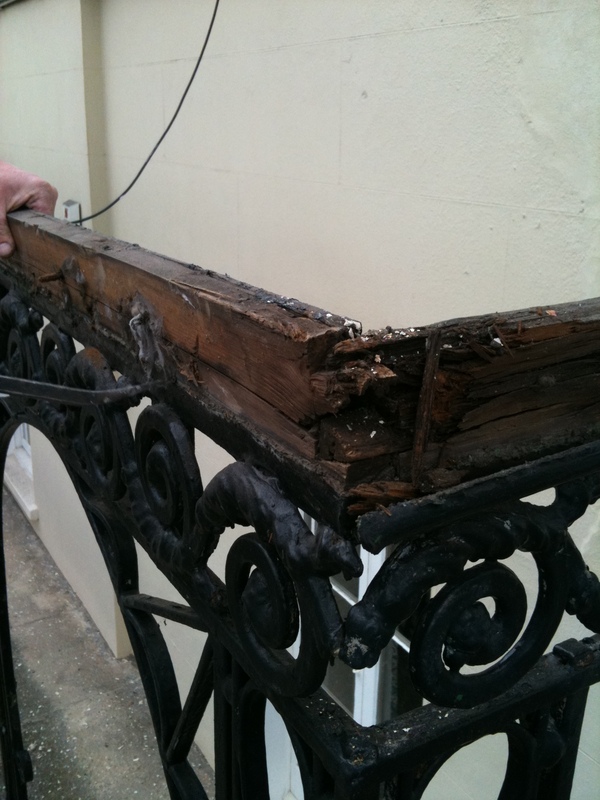 They are delighted when our balcony restoration service is able to transform these neglected areas of the house into a place that is safe, secure and habitable once more. The balcony is the big window onto the world and our balcony repairs will ensure clients have many years of pleasure enjoying this outside space once more. 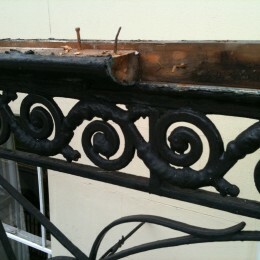 After carrying out balcony repairs for many years, we decided to offer a complete restoration service. 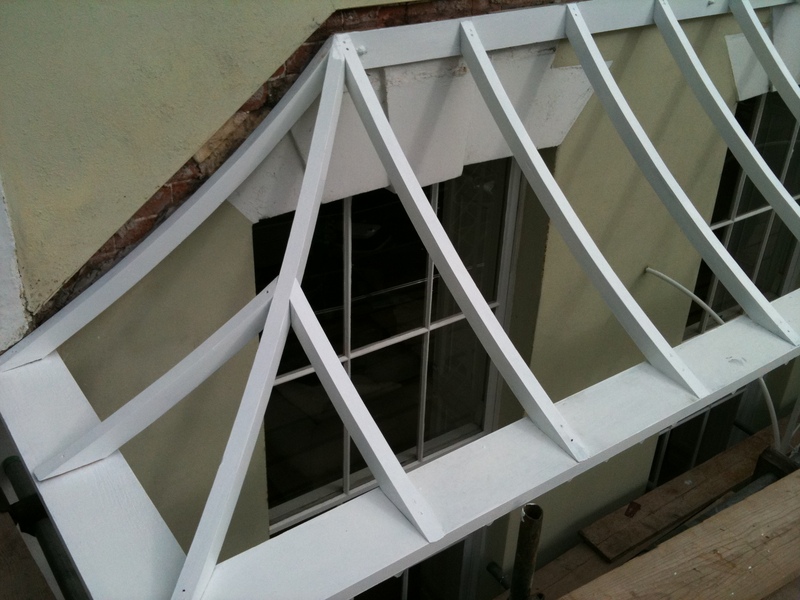 This usually entails removing the complete structure, renewing all the timber and repairing and/or replacing missing sections and returning ironwork to its original splendour. We then finish the project with a high quality, specialist cleaning and paint finish system before refitting. Ironwork, such as rusted railings and gates that no longer operate, can be removed and transported to our workshop, sympathetically restored and refitted. 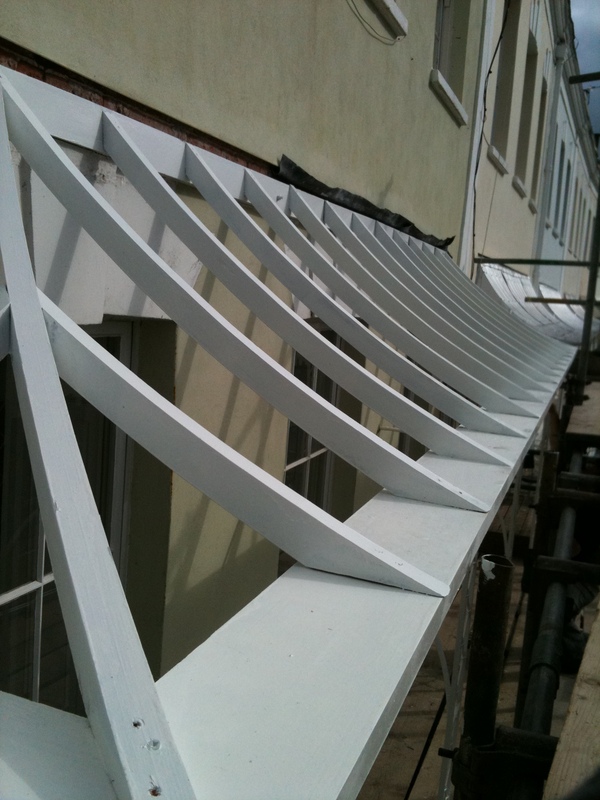 We have the complete range of skills to fix everything on and surrounding your balcony, from the ironwork and carpentry, right through to the structural engineering required to ensure that the balcony can be used with complete confidence. Trades used: Lead work, structural elements (i.e. 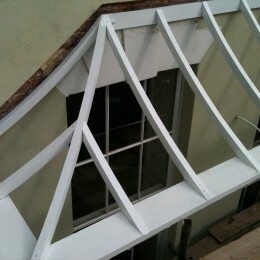 stonework), roofing, ironwork, joinery.